The organizers of the GF Internazionale Felice Gimondi Bianchi, to be held in Bergamo (Italy) next May 6th, even this year are proud to brush up the “Eugenio Mercorio uphill TT challenge“, a 10,4 km uphill ITT from Nembro to Selvino, with a 621-meter difference in altitude (gradient 5,1%, peak 10%). It is a challenge inside the challenge, in the name of a Granfondo’s friend untimely died in 2010. 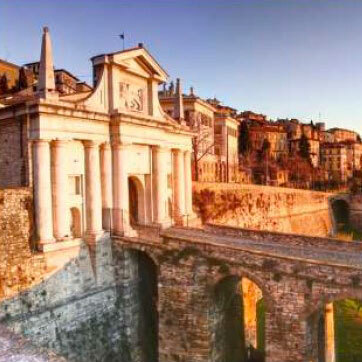 “In Bergamo everyone remembers Eugenio. Beyond his professional skills, he was a lovely person, always sorrounded by friends who respected him“, Roberto Perico, Credito Bergamasco-Banco BPM Manager, GF Gimondi Bianchi’s long-time partner explained. “We used to go riding and he was our captain: he chose the courses, decided the start time. Thanks to his committment and his charisma, our group was always large. Thanks to Eugenio I started biking when I was over 40″. Mercorio was a fan of the cycling and its memorable feats, “first and foremost he admired Gimondi: Eugenio thought noboby could equal his greatness“. Linking Mercorio’s name to GF Gimondi Bianchi seemed to his friends the perfect way to honour his memory. “When we trained in view of the Gimondi, the Nembro-Selvino was our academy. We usually chose the short course. Selvino was Eugenio’s climb, our climb”, Perico remembered. Timing service powered by TDS will generate three classifications referred to each of competition’s courses: Short, Medium and Long. The classifications shall only include those riders completing the race. The first three riders for each course will be awarded. Until March 31, 2018 the entry fee is 35 euros. Participants can register for the 22nd edition filling out the dedicated online form on the official website www.felicegimondi.it, or at the G.M. Sport Office in Via G. Da Campione, 24/c – 24124 Bergamo (tel. +39 035.211721 – fax + 39 035.4227971).